"Two species that historically have had different responses and seem to be very different in their coastal-wide patterns now appear to be more synchronized," said lead author Patrick Kilduff, a postdoctoral scholar under Louis Botsford in the UC Davis Department of Wildlife, Fish and Conservation Biology at the time of the study. "When salmon populations are synchronized, it's either good for everyone or bad for everyone—similar to the stock market." Historically, many Pacific salmon species were thought to be influenced by the Pacific Decadal Oscillation (PDO), an El Nino-associated eastern Pacific warming pattern. As the nature of El Niños has changed, another ocean indicator, the North Pacific Gyre Oscillation (NPGO) has grown increasingly important, but its impact on salmon was not well-understood. 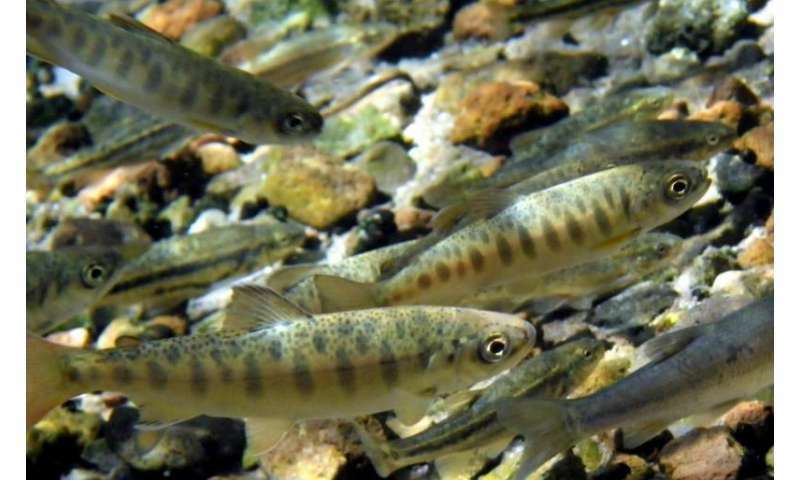 Salmon fishing season at risk in Calif.